There is no doubt that electronics is the season’s hottest gift category. But there’s more to giving a gadget than just clicking “buy” on the first device you see. A gadget gift, just like any other gift, goes over best when there’s thoughtfulness and consideration behind it. After all, if you’re plunking down cold hard cash, you don’t want to waste that money just filling the back of someone’s closet, do you? So as you parse all the gadgets, gizmos and doohickeys on the sales floors this month, bear the following in mind. DO check out reviews. If you’re starting from scratch and not sure what to get, hit up some reviews and rankings. 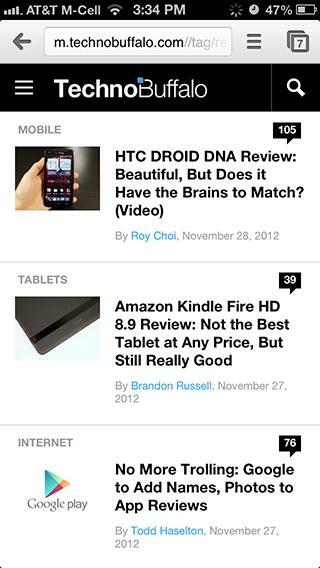 Some sites offer terrific coverage on the hottest gadgets. (Like, erm — shameless plug — this one right here.) You’ll want to narrow down your gift idea to a category at least, and then do a little digging to see which products or brands offer the best features and/or best build quality. That will give you a few choices to price-check against sales and holiday promotions. DO think about the recipient’s personality or needs. Consider your loved one’s situation. For instance, if he or she is tech-challenged, you’ll want a gadget that’s super simple to use over another complicated one, even if it does have more features. Or maybe the friend is an avid gamer who’d appreciate a souped-up graphics card over a Kindle. So, yes, put some thought into it. But not too much thought (see below). 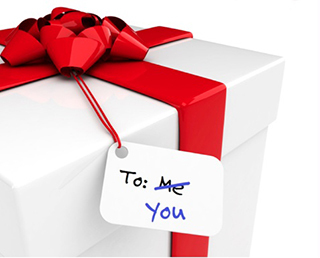 DON’T give “personal electronics” unless you know it’s on the recipient’s wish list. Thinking about a roll-away alarm clock, because your girlfriend’s always late? Or a nose hair trimmer for Dad? (Or worse, Mom?) Perhaps something from the thinly veiled adult section of the store for that pal who just can’t loosen up? Stop. Just, please. Stop it right now. Unless you know your loved one specifically wants a particular item, the personal electronics gift category is a risky bet. You want to spread joy, not make a tactless commentary, so it’s best to avoid these types of presents. DO get the best tech you can afford, but not because you think the recipient SHOULD use it. He prefers Windows over OS X, or she likes iOS over Android. So what if you don’t? This isn’t the time to show people the errors of their ways. No one likes a present that comes with a lecture. DON’T buy for yourself. You sneaky thing, you. You know he’d rather read than stream video to his TV, or that she can’t stand giant phones. But you go ahead and buy it anyway, knowing full well that you’ll be the one who winds up using the device. Shame on you. It’s a clever tactic, but not very generous, so how about getting a present s/he might actually love, mmmkay? DO purchase devices that are returnable. Be sure that your item is returnable or at least exchangeable, so read the fine print on any promotions or ask the sales clerk about the store policy on that item. 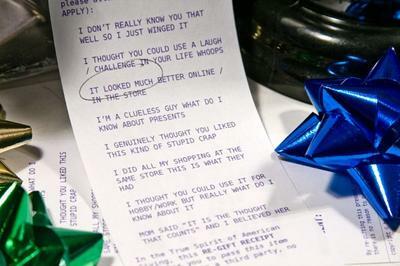 DON’T forget gift receipts. They don’t show the purchase price, which keeps things classy, but they still allow the easy exchange of merchandise. And if you’re buying for several people all at once, be sure to ask the sales associate for separate ones. DO gift your old gadgets… but not for the holidays. So what do you do with that old phone now that you’ve upgraded? 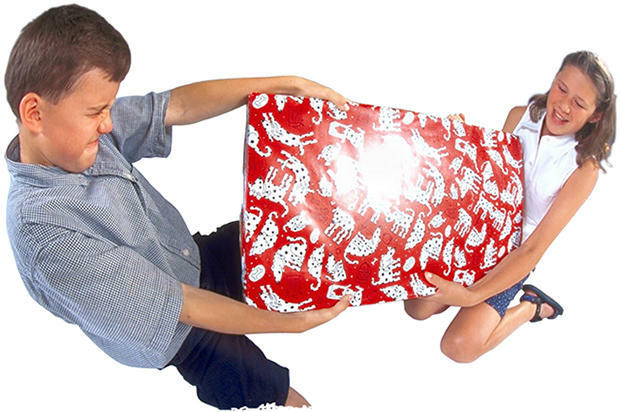 Well, unless you want to look like a cheapskate, you certainly don’t slap a bow on it and stick it under the tree. While legacy devices are great to pass along to someone who’d still use them, it’s tacky to give them as holiday presents. The only exception is if you’re cash-strapped and your kid is too young for an expensive current model. Otherwise save the leftovers for later. DON’T overlook age-appropriateness. This one’s a no-brainer: So you know digital cameras are on the menu, but maybe a DSLR might be too much for Grandpa. Or a pricey point-and-shoot shouldn’t land in the mud-happy hands of your young cousin, who’d do better with a best buy from Toys “R” Us instead of Best Buy. Gift-giving themes can be fun, but make sure the presents are appropriate for the age, ability or lifestyle of the recipient. DO bundle a device with accessories or app gift cards. If there’s a little left in your shopping budget, why not splurge on some extras and make it a merry occasion for that lucky gift-getter? Nothing says “Wow!” than breaking open a bundle of techtastic awesome. DON’T keep friends and family in the dark about your plans. First of all, you want to head off the possibility of duplicated gifts. Second, if he or she is already thinking about splurging for a phone, tablet, heart-rate monitor or whatever that you already bought and wrapped, you’ll need some back-up help — people who can discourage the person from buying that right now and making your gift redundant. Third, your loved ones may kick in and pick up some other bits that would go well with your device or bundle, making for an even more tricked-out feat of gift-giving. Like with any other presents, a little thought goes a long way with gadget gifts. After all, if you didn’t care, you’d be giving a pair of socks or a dried-out dime-store fruitcake. But you decided on a device, accessory or software, hoping to thrill someone with your tech-savvy and generosity. And with these tips, you won’t disappoint. But hop to it! There’s not much time left in the shopping season! What are you hoping to give or get for the holidays? Let us know in the comments!